The market is going to crash. You only care about your commission. You will be replaced by Zillow and Amazon. Home ownership is not wanted any more. How many of these have you heard in the last 6 months? Maybe for the last 12-24 months? That should tell you something right there, but wasn’t even in my point actually. There is a ton of propaganda out there for those of us in the real estate industry to consume that would instill fear, hopelessness, and despair if we let it. Yes, it’s a choice for you to react negatively or opportunistically to all the headlines and content all over our digital landscape. Our real estate industry and profession as a whole seems to be continuously told we are almost obsolete, non-caring, greedy, soon to replaced individuals and I guess should find a new career and passion. My question to you is, are you ready to fight? Now when i say fight, i don’t mean get angry and jump back on threads and comment feeds to hurl insults and angry (swearing) face emojis. Sometimes, i dont mind the funny GIF or 2, but all in all, that is not what i mean. What’s the old adage; “actions are louder than words”? And more so, actions that prove them wrong. Your business growth, success stories, customer reviews and testimonials, value added content all can serve as a slap back to the non-realtor community that seems to want us out of business. Is the market going to crash? If you know for a fact, better double down the bet. But the fact is, you dont know and you are betting on black (or red). Does the market over 50 years plus move on historical cycles on a macro level, yes. Knowing that means a nothing stay up forever…but nothing stays down either. Are we still living in the 2008-09 market? Of course not, it came back. So will a down turn happen? Yes. Will it come back? Yes. So what do we do? Learn how to help clients in both up and down markets and continue to grow our success as a real estate professional no matter the market. The word is “opportunity” . Do you know how to see it? You should always be looking for it. Don’t worry about what the market is going to do tomorrow…focus on what kind of opportunities you can help your clients with today. Do you only care about your commission? No? Well then, act like it. Stop selling, start helping. Position yourself as a service provider and guide, not a salesman. Be willing to lose a sale if it’s what’s best for the client. This is a people business, not just a transaction. Show people you are still there for them AFTER the closing has occurred. Be their Realtor for life. In turn, grow your repeat and referral business and by default your success will grow when you move past the transactional/commission mindset. But most of you already know this. Is technology moving fast, yes? Tutorials and help desks exist for a reason. Did you know tutorial videos are one of the most searched video types on Youtube? I’m pretty sure at least…But they are popular. 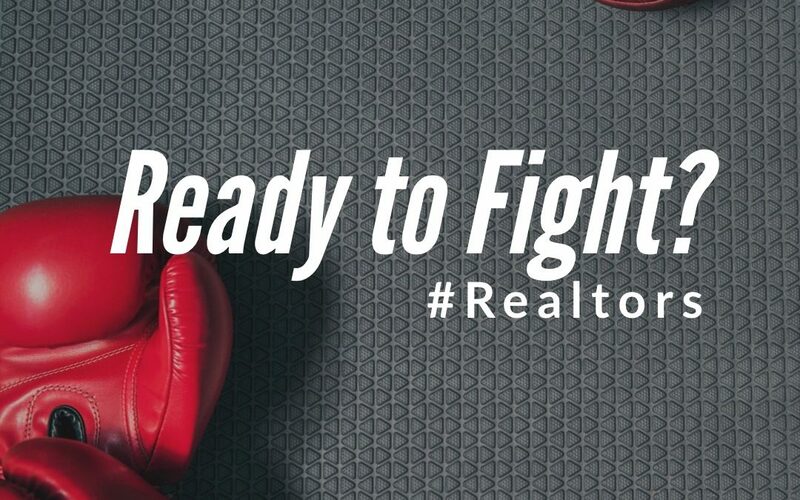 So instead of fighting in a way against technology that claims to be the “easy” way to purchase and sell real estate, how about fighting by becoming a resource and tutorial of how to use the latest technology along with your Realtor guide in making the real estate transaction process as seamless and frictionless as possible? Be THAT guy or girl that wins by using technology to their advantage to help more people with real estate buying and selling. Tech isn’t going to stop innovating, so why should you?